April has just begun and there are already a lot of API stories in the news this month. You can always count on API Friends to have your API news roundup. 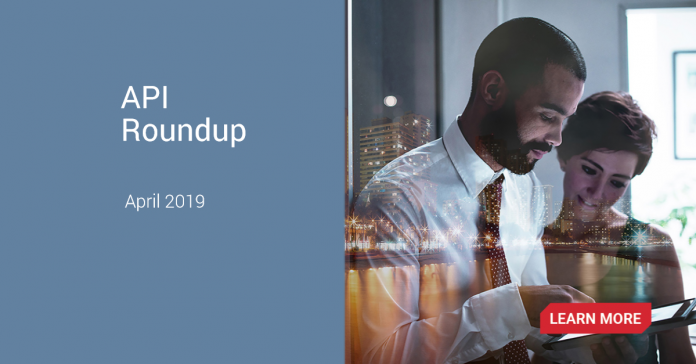 Below are some of the top API news stories for April 2019. Read the full article on Packt Pub. Listen to the Podcast on PYMNTS.com. A German security researcher printed the word “PWNED!” on hundreds of GPS watches to prove a point about a broken API. Christopher Bleckmann-Dreher discovered a vulnerability in an API used by Austrian GPS watch manufacturer Vidimensio. The firm’s watches are used by a wide range of the population from the elderly down to children, and it affected over 20 models. Read the full article at developer-tech.com. Global API Management Market 2019–2025: Akana, Inc., Apiary, Inc., Axway, Inc., Ca Technologies, Inc., Cloud Elements, Inc.
Have you ever wondered how to protect your API Management infrastructure against cyberattacks using Artificial Intelligence (AI)? This webinar has you covered! Laura Heritage, Senior Director, Product Line Manager at Axway joined Bernard Harguindeguy, CEO and Founder of Elastic Beam (and now CTO at Ping Identity) host the insightful webinar. In this blog post, we recap how the partnership with Axway and Ping Identity protects against API attacks. Those are the API stories that are hot in April. Do you have other API news stories you would like included in the next API roundup? Email me your API story headline and link. Then look for our next API news roundup in two weeks!